Oh Hey There! : Wintery Favourites. Clockwise: Eau Thermal Avene Clearance Expert, The First Bad Man by Miranda July, Pixi Glow Tonic, Ultrablast by Lush, Divers by Joanna Newsom. I didn't manage a favourites last month as I was a bit underwhelmed with a lot of new things I had tried and simultaneously overwhelmed with uni stuff. I decided that instead of forcing myself to find things I would hang back and combine October and November to make a Wintery Favourites of stuff I have actually really loved. In Lush, a few weeks back, I was cornered by a member of staff who rather gave me the hard sell on their new 'Teeth' range. Sadly, as I am an awkward person, I would rather buy something I didn't intend to than say "Thanks but no thanks". Thus, I am now the owner of Ultrablast! BUT I actually really like it! It is a tooth powder, designed to take the place of toothpaste and does a brilliant job. I use it about once a week for a really deep clean. Interestingly, it's Wasabi flavoured. Although a little weird actually quite nice and very subtle. For the slightly less adventurous their are also other, more usual, flavours like Tooth Fairy and I would really recommend the range as they're great or even just for curiosities sake! My skincare hasn't really changed too much recently apart from these two great products. 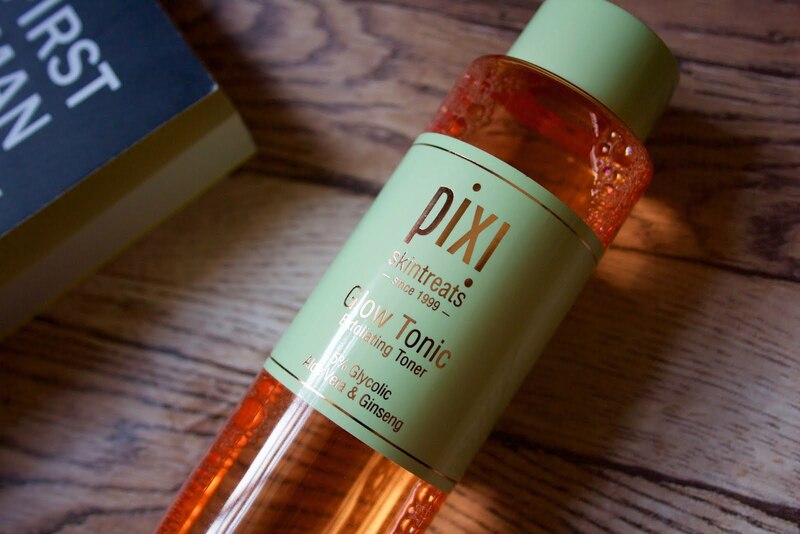 I won't write too much about Pixi Glow Tonic as it has been reviewed more times than their are stars, but I will say that it really does live up to the hype. If you have congested or problem skin I would really recommend it. It is also now sold in Marks and Spencer making it infinitely more easy to get hold of! The other product I have been using is from Eau Thermal Avene and it's their Cleanance Expert for acne prone skin. I have been using it as a moisturiser and it has really helped balance my skin a bit more and keep it less oily but still hydrated and soft. 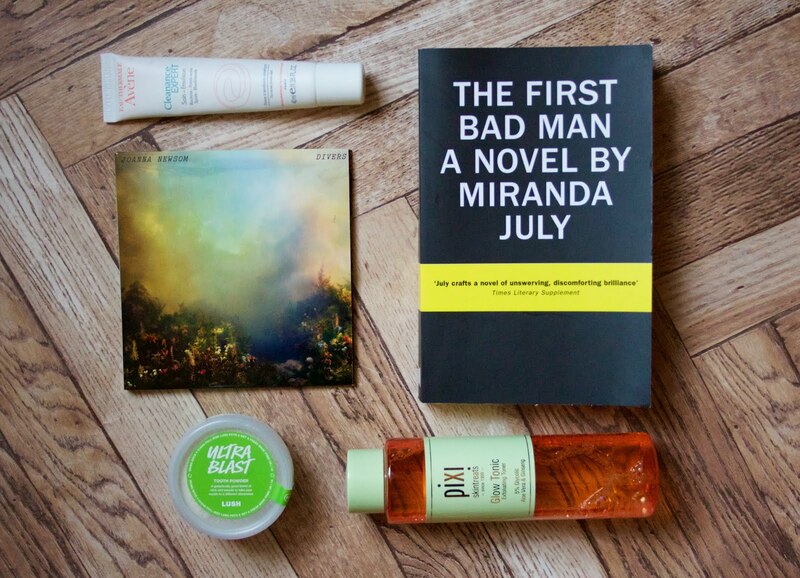 This month I wrote a "What I have been Reading Lately" post and The First Bad Man by Miranda July was featured. I really enjoyed this book, it is funny and insightful but also a little dark. I wouldn't say it's a book for the fainthearted but if you are looking for something (very) interesting, unusual and a bit of a challenge, this could be the book for you. Divers by Joanna Newsom came out about a month ago and it instantly became the soundtrack for my life. I have it on repeat since it came out and have yet to get even slightly bored with it. As I am still not bored of Have One On Me, her last album released in 2010, I doubt I ever will. Her music is slightly divisive and I won't even attempt to sum it up here, I will just say go and decide for yourself and check out the beautiful video for Divers, the titular track, here. Have you got any Winter Favourites?